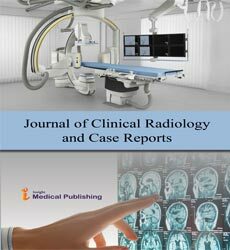 Journal of Clinical Radiology and Case Reports brings articles in all areas related to radiology on quarterly basis. Journal of Clinical Radiology and Case Reports welcomes the submission of manuscripts that meet the general criteria of significance and scientific excellence. Papers will be published approximately 15 days after acceptance. Journal of Clinical Radiology and Case Reports publishes articles in fields of radiation oncology and interventional radiology. Radiology subspecialties like Breast imaging, Cardiovascular Radiology, Neuroradiology, Chest Radiology, Emergency Radiology, Gastrointestinal (GI) Radiology, Genitourinary Radiology, Musculoskeletal Radiology, Pediatric Radiology, Head and Neck Radiology. As a member of Publisher International Linking Association, PILA, iMedPub Group’s Journal of Clinical Radiology and Case Reports follows the Creative Commons Attribution License and Scholars Open Access publishing policies. Journal of Clinical Radiology and Case Reports follows a progressive editorial policy that encourages researchers to submit the original research, reviews and editorial observations as articles, well supported by tables and graphic representation. Journal of Clinical Radiology and Case Reports is self-financed and does not receive funding from any institution/government. Hence, the Journal operates solely through processing charges we receive from the authors and some academic/corporate sponsors. The handling fee is required to meet its maintenance. Being an Open Access Journal, Journal of Clinical Radiology and Case Reports does not collect subscription charges from readers that enjoy free online access to the articles. Authors are hence required to pay a fair handling fee for processing their articles. However, there are no submission charges. Authors are required to make payment only after their manuscript has been accepted for publication. In order to reduce delays, authors should adhere to the level, length and format of the iMedPub Journals at every stage of processing right from manuscript submission to each revision stage. Submitted articles should have a 300 words summary or abstract, separate from the main text. The summary should provide a brief account of the work by clearly stating the purpose of the study and the methodology adopted, highlighting major findings briefly. The text may contain a few short subheadings of no more than 40 characters each. Confirm that each individual named as an author meets the uniform requirements of the Journal of Clinical Radiology and Case Reports criteria for authorship. The information must be based on original research that adds to the body of knowledge in Journal of Clinical Radiology and Case Reports. Case studies are accepted with a view to add additional information related to the investigative research that advances in the field of Journal of Clinical Radiology and Case Reports. Editorials are concise commentaries on a currently published article/issue on Journal of Clinical Radiology and Case Reports. Editorial office may approach for any such works and authors must submit it within three weeks from the date of receiving invitation.